For some users, when it comes to backing up their data, doing things like a simple copy-paste or burning the content to an optical media, which doesn’t require any tool, is more than enough. But if you have folders that get “refreshed” quite frequently, then to avoid data duplications and overcome other issues, you’ll have to use a dedicated data backup tool. 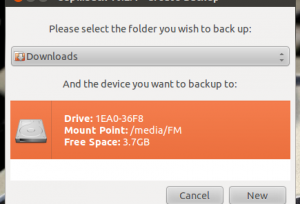 Luckily the latest Ubuntu 11.10 version comes with a simple yet an excellent backup utility called Deja Dup. 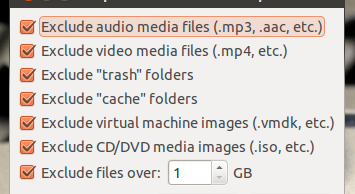 But for other (older) Ubuntu versions and even as a Deja Dup user, if you’re looking for another similar tool, then “dupliback” is also a pretty good looking app too. “dupliback” however does not let you take backups and save them into the same storage device (which makes sense as the purpose of taking backups is to enhance the reliability of your data). But until you make ready a separate media, it would’ve been great if it let us save the data somewhere else in the same storage media, temporarily. *. Just like many other similar tools, dupliback too has a wizard like, guided and ease to use backup process. *. Supports saving into both local and removable storage media (USB drives, HDDs etc). *. Adds passwords and encryption to your backups. *. Automatic excludes audio/video files, cache or trash folders, CD/DVD disc images or files that are bigger than a certain size (manually defined). And of course you can disable these exclusions as well. *. It saves the backup file in a format of its own and you can create an archive (compressed file) easily too. *. Add/Delete/Open previous backup points. *. View the changes made (added files, deleted status etc) of your current backup. Other features such as remote file transfer through SSH and Amazon/S3 cloud services are not implemented yet. If interested, you can install Dupliback in Ubuntu 12.04 Precise Pangolin, 11.10 Oneiric Ocelot, 11.04 Natty Narwhal, 10.10 and 10.04 by first downloading the “.deb” file from this official dupliback download page. As usual, when the download completes, simply double click on it and the Ubuntu Software Center should do the rest. Good luck.